Problem setting. The development of the global economy for a long time has been under the influence of globalization. The main forms of its manifestation are growth in volumes of international trade and investment, liberalization and deregulation of capital movements, diversification of world financial markets, a significant increase in the role of multinational corporations in the world economic processes, aggravation of global competition, growth of a role information technologies in economic development, etc. Global financial and economic crisis of 2007–2009 revealed the shortcomings of the current world system of international economic relations. Modern challenges determine the vector of knowledge of economic reality through globalistics as an integral science of the world economy. It should focus on the search for value orientations and foremost directions of overcoming the modern polysystem global crisis. Newest theories should provide an opportunity not only to be substantial to update the modern methodology of economic research, but more deeply rethink the crisis reality and develop effective practical recommendations. Recent research and publication analysis. In recent years, actualization of problems of analysis of the formation and spread of global imbalances in the global economy is conditioned by interdisciplinary research. The scientific community draws attention to the need to find the ways of optimal solution findings to problems of unevenness and asymmetry of economic development of different countries and whole regions of the world, a Number of scientists have devoted their work to analysis of a wide range of issues related to the disclosure of content and directions of global imbalances. Paper objective. The purpose of the paper is to reveal the peculiarities of manifestation of global imbalances in the development of the world economy in search of directions to reduce their negative consequences. instability with the development of globalization makes the problem of ensuring the symmetry between the processes of global liberalization of resources mobility, on the one hand, and the protection of the global coordination of national interests and global regulation of the main structural proportions of the exchange – on the other hand, relevant. in this direction it is possible to reduce the effects of the global imbalances on the development of the entire world economy. Abstract. The article states that the vector of development of the world economy is largely determined by the influence of the processes of globalization. The analysis of the directions of globalization influence on the course of macroeconomic processes in the world economy is carried out. The peculiarities of global financial imbalances influence on the development of countries with emerging markets are revealed. An attempt was made to determine the perspective directions of international cooperation in the field of economic policy coordination by governments and central banks of the world. 1. Vitrenko, A. O. (2016). Servisna ekonomika: teoriia, suchasni vyklyky ta hlobalni trendy [Service economics: theory, modern challenges and global trends]. Kyiv: Znannia [in Ukrainian]. 2. Vlasiuk, O. S., Mokii, A. I., Iliash, O. I., Voloshyn, V. I., Fleichuk, M. I., Vlasiuk, T. O. … Yakubovskyi, S. O. (2017). Bezpeka ta konkurentospromozhnist ekonomiky Ukrainy v umovakh hlobalizatsii [Safety and competitiveness of Ukraine’s economy in the conditions of globalization]. O. S. Vlasiuk (Ed.). Kyiv: NISD [in Ukrainian]. 3. Heiets, V. M. (2018). Endohenizatsiia rozvytku ekonomiky u vymiri rivnopravnosti vidnosyn derzhavy, biznesu ta subiektiv holosuvannia [Endogenizing the economic development in measuring of equality of relations between state, business and actors of voting]. Ekonomika Ukrainy – Economy of Ukraine, 7, 3–19 [in Ukrainian]. 4. Deineka, Т. А. (2018). Sotsialno-ekonomichni superechnosti protsesu hlobalizatsii suspilstva (polityko-ekonomichnyi analiz) [Socio-economic contradictions in the process of globalization of society (political and economic analysis)]. Kyiv: KNEU [in Ukrainian]. 5. Yemets, V. V. (2018). Nahromadzhennia kapitalu v umovakh ekonomichnykh transformatsii [Capital accumulation in the context of economic transformations]. Kyiv: NIChLAVA [in Ukrainian]. 6. Zhuravlov, O. V. (2017). Statystychne modeliuvannia transformatsii natsionalnoi ekonomiky v umovakh hlobalizatsii [Statistical modeling of the transformation of the national economy in a globalized world]. Kyiv: Informatsiino-analitychne ahentstvo [in Ukrainian]. 7. Korablin, S. O. (2017). Makroekonomichna dynamika Ukrainy: pastka syrovynnykh rynkiv [Macroeconomic dynamics of Ukraine: the trap of commodity markets]. Kyiv: In-t ekon. ta prohnozuv. NAN Ukrainy [in Ukrainian]. 8. Kravchuk, N. Ya. (2012). Dyverhentsiia hlobalnoho rozvytku: suchasna paradyhma formuvannia heofinansovoho prostoru [The divergence of global development: the modern paradigm of the formation of geo-financial space]. Kyiv: Znannia [in Ukrainian]. 9. Coibion, O., & Gorodnichenko, Y. (2015). Information Rigidity and the Expectations Formation Process: A Simple Framework and New Facts. American Economic Review, 105, 2644–2678. 10. Lipková, L., & Hovorková, K. (2018). Economic situation in Norway after the outbreak of the global financial and oil crises in the context of EU integration trends. Economic Annals-ХХI, 169(1-2), 12–14. 11. Redziuk, Ye. (2018). Posylennia hlobalnoi nestabilnosti v mizhnarodnii ekonomitsi ta yii vplyv na Ukrainu [Increasing global instability in the international economy and its impact on Ukraine]. Ekonomist – Economist, 8, 19–22 [in Ukrainian]. 12. 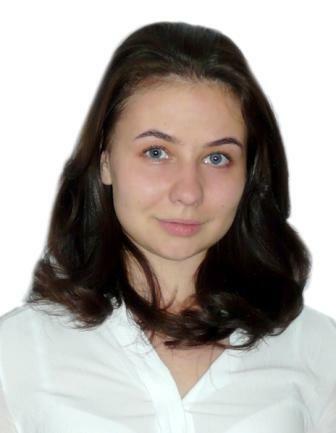 Reznikova, N. V. (2013). Hlobalna ekonomichna vzaiemozalezhnist: suchasna paradyhma ta determinanty modyfikatsii [Global economic interdependence: a modern paradigm and modifications of the determinants]. Kyiv: Vistka [in Ukrainian].